In case your boss tries to low-ball you by refusing to pay for an extra hour of the graveyard shift last weekend during daylight savings time, the Labor Department is on your side. The Fair Labor Standards Act requires that employees must be credited with all of the hours actually worked, according to a Labor Department advisory. That may clear up any confusion for one worker who said his employer only paid him for eight instead of nine hours last Saturday, after working an overnight shift from 10 p.m. to 6 a.m. The employee said his employer argued that the hours even out during next spring’s daylight savings time, when they are paid for one extra hour, as first reported by the Consumerist. 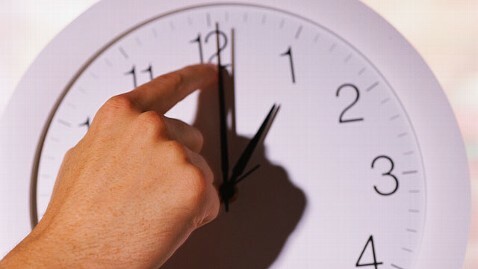 Daylight saving time ended for most of the country, as standard time officially began 2 a.m. last Sunday morning. The Labor Department offered an example that showed on Sunday, an employee works the hour from 1 a.m. to 2 a.m. twice because at 2 a.m. all of the clocks are turned back to 1 a.m. Therefore, on this day the employee worked nine hours, even though the schedule only reflected eight hours. The seven-month period of daylight saving time is mandated by governments, which began implementing the time switch during World Wars I and II to save energy and resources for the war effort. While many people relished one extra hour over the weekend, there is another five months until we lose one hour in March. ABC News’ Ned Potter contributed to this report.